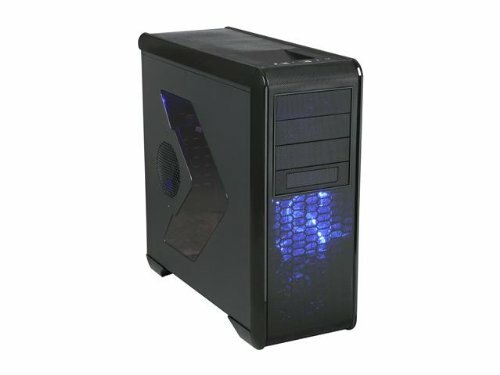 This is a mid-tier gaming build built with Black Friday sales. Made with some degree of future proofing for those who want to run on Ultra now and are okay with Medium down the road. $683.87 after rebates, WITH monitor, keyboard, mouse, and a free copy of Civ VI. That's shipping and tax included. You will notice three features that require some explaining. i3 over i5. Why? Because an i5 that's significantly better than this i3 is about $150 bucks more. An i3 is all most anybody looking in this tier will need. Will it need to be upgraded eventually, probably. But by that time you'd likely want to upgrade your i5 to the newest version anyway. Modern games on Ultra run fine on an i3. 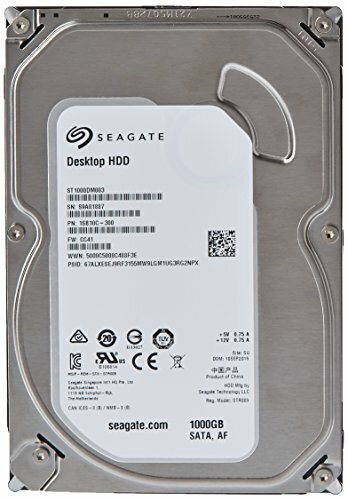 I haven't had a single bottleneck problem with this build yet. You can OC this CPU by adjusting the base clock if your really want to, the rest of the build will support OC, but I don't find it necessary. Am I using the stock HSF that comes with the i3? Yes. I'm not OCing this build, so the stock works fine. Totally quiet, low CPU temps. If I do start OCing, I'll buy an aftermarket HSF. No SSD. SSDs are nice, but all they really do is decrease boot-up and loading screen times. This build boots fully in under 20 seconds. Do you really need any faster? If so, just add an SSD later, you always can! See product reviews for more specific details. Sorry about the grainy photos. So you're looking at this saying "Do I really need the i5 or is the i3 good enough?" Your answer: The i3 is good enough. 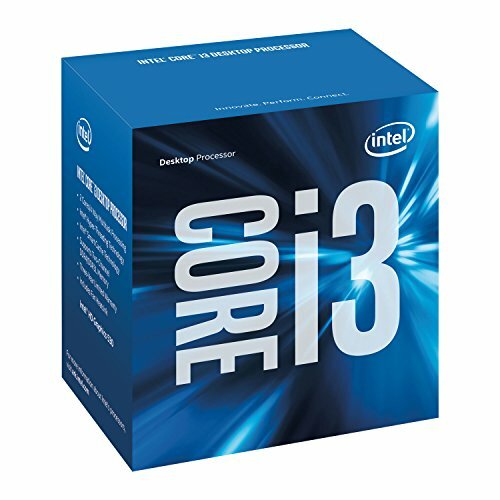 A decent i5 is more than double the price. I haven't had a single bottleneck with this CPU on any modern games set to ultra. I'm not OCing. The stock HSF is quiet and works great. Fantastic mobo. 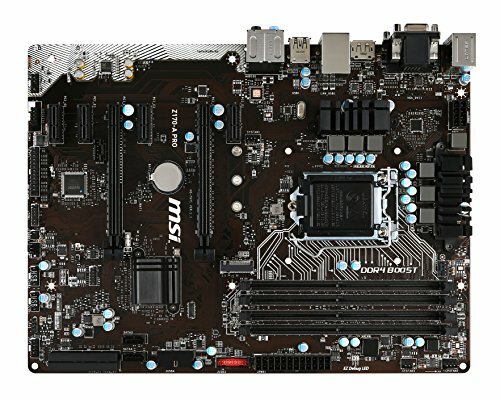 At a similar price point you will find boards with H170A framework, fewer slots, and a base RAM speed of 2133 (This board has a base of 2400). The upgraded version is the PC Mate, but I frankly can't see why you'd get that one. It has some additional ports, like an HDMI, but if you have a GPU then you don't need those anyway. Don't waste money on features that you won't use. Often goes on a good sale. It's RAM, but it's nice to get 2400 over 2133 for the same price if your mobo natively supports it (mine does). Was considering the Crucial equivalent for a few bucks less, but the heat sinks here are better. 1 8GB > 2 4GB as it gives you room to add more should you ever need it. RAM is RAM, buy what's on sale. A reputable brand, works great. I boot windows for this drive in lieu of having an SSD, and the comp boots in under 20 seconds. I don't find more than 1TB necessary. If you run out of room just uninstall things (games mostly) that you aren't using anymore. So many people buy extra space just to store things they never touch again. It's not like you can't reinstall them, and you won't lose any save data. Absolutely loving this case. It's a big one (look at the dimensions people) but size = room, and room = low temps. Comes with 5 fans, two of which have molex connectors built in. This is very nice as most mobos only have room for 3 system fans. The blue LEDs are great looking. This picture does them justice. They're a nice deep blue, so they're not super in your face or distracting while using the build. Having 5 active fans might seem noisy, but it really isn't. Easy cable management, dust filters galore, hot-swap dock with pre-installed SATA and molex cables; I couldn't be happier. Some people have said that certain aftermarket HSFs require you to remove the side fan, but that's no price to pay if another case doesn't even have a side fan. It's just a free backup fan. Often goes on a good sale. Man this thing is pretty. I specifically sought out a fair priced monitor that doesn't have the classic, glossy black, one inch border design. The frameless look of this thing is absolute class. The pictures don't do the bottom bar justice either. It has a nice, brushed steel kind of look. More stylish than I even thought it would be when buying. Some neat features compared to similarly priced monitors (low blue light setting, etc. ), and built in speakers are always a plus. They're not great speakers, of course, but monitor speakers never are. Very happy. Often goes on a good sale. If you get this on sale it's a great combo. Not too over the top gamer looking, but stylish enough. I don't really care about things like multi colored backlights, but it does give me a giggle when I'm picking which color I want for today. Feels somewhere in between a classic rubber backed keyboard and a mechanical one. Don't make a mistake though, it's definitely not mechanical feeling. Anti-key ghosting is nice. The mouse is very responsive and has preset dpis which change with a push of a button. Nice for those who like to optimize the dpi/in game sensitivity ratio on a game by game basis. It's light, but I started out using a cheapo wireless Logitech mouse, which is superlight. Thus, I actually prefer light mice. Probably more set up for claw grip, but I palm grip just fine on it. Nice job just let me know how high your overclock is on that 480 if you try it. Nice build! What kind of temps and fps are you getting with that RX 480? Been playing a lot of Overwatch. At everything I can find turned up to absolute max, FPS is about 120 and GPU temp is just under 60 C. The fans don't even bother turning on.